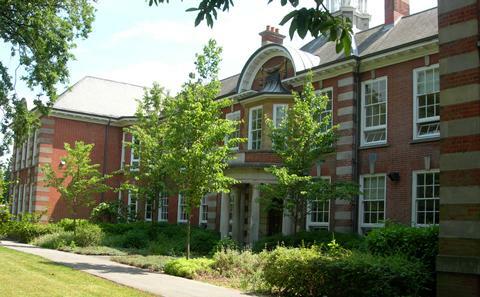 Modern Languages at Southampton is an internationally recognised centre of research excellence. We offer PhD supervision across a wide range of areas relating to language, culture and society, including Applied Linguistics and English Language Teaching. You have the opportunity to study for your postgraduate degree in a variety of ways: full-time, part-time or as a distance learner, making for a flexible programme tailored to your research interests. Study the key assets of modern languages by applying for the PhD Modern Languages Research Programme. Through conducting your own research, you can expand on your own knowledge in a field of your choice from language to applied linguistics and language teaching. This PhD Programme at the University of Southampton will give you the skillset to take to a range of successful professions such as teacher, researcher or lecturer. Our key underlying research themes are contemporary language, linguistics, culture and society. Our staff are experienced supervisors, engaged in innovative research and postgraduate teaching, and there are excellent opportunities for interdisciplinary research. University online application including a personal statement. Candidates are advised to contact prospective supervisors with the subject of their proposed research prior to application. Equivalent Qualifications: We will also consider candidates who do not have a Masters degree if they can demonstrate; outstanding undergraduate performance including evidence of preparedness for research (e.g. first class honours and 75% or more in the dissertation in a relevant subject); or other appropriate qualifications. English language entry requirements: IELTS 6.5 overall, with 6.0 in reading, writing, listening and speaking, or an equivalent standard in other qualifications approved by the University. Evidence of achievement in the merit-distinction range at MA level. In cases where a Masters with dissertation has already been completed we expect applicants to have attained a mark for the dissertation component in the upper merit range or above (or international equivalent). The PhD by Research programme has no modules per semester. Instead it is an entirely research-oriented programme in which studenst conduct original research under the guidance of their supervisors. A postgraduate research degree from Humanities at Southampton offers you the wide and varied experience you should expect from a leading research university. We are committed to providing a relevant, modern and above all enjoyable environment in which to undertake your research project, along with the opportunity to gain the additional skills and understanding you need to start a career in any number of areas including academia. On a postgraduate research programme is led by academic staff, allowing you to engage with, and contribute to, the world-leading research carried out in Humanities at Southampton. Independent learning is the main element of undertaking postgraduate research, but we will guide you through the research experience by providing not only a dedicated supervisory team who will be on hand to help you to shape and direct your research project, but also a programme of research and transferrable skills training to prepare you not only for the project, but also for the career path you may wish to follow after its completion. If there are gaps in your knowledge when you start with us, you can join our taught masters students on one of their courses to provide you with the additional grounding you need. We view our doctoral candidates as early stage researchers, so expect you to get involved with the wider research environment within, and external to, the University. Our disciplines have many unique and exciting additional opportunities for you engage with: such as visiting Chawton House Library, the former home of Jane Austen; studying the Broadlands Archive, containing the papers of Palmerston and Mountbatten; being part of one of our student-led interdisciplinary reading groups; and the chance to hear from visiting speakers from international universities who are frequent part of our research centre-led lecture and seminar series. You will have many opportunities to give papers and presentations, receiving feedback from peers and colleagues on how you can improve your work, maximise its effectiveness and gain recognition for your efforts. Students on the Distance Learning pathway have electronic access to learning resources (e.g. Blackboard; VLE; EAP Toolkit, an online English for Academic Purposes self-access resource) as well as additional support from the learning technologists based in the Faculty’s eLanguages unit. The Hartley Library offers an extensive and growing collection of e-books and electronic articles (JSTORE). The goal of a PhD is a final thesis of 75,000 words. This thesis will be examined by an internal and external examiner at an oral examination. Assessment at postgraduate research level therefore comes in the form of regular reviews of your work from your supervisory team and colleagues within your discipline to prepare you for this final examination. As a minimum, you will be expected to present your work three times during candidature: after nine months (the first year presentation); after approximately two years and after you have submitted your thesis (viva voce oral examination). A PhD will enable you to further develop the key skills employers seek such as: time management; problem solving; team work; deadline and project management; cultural awareness; working independently; using your initiative; relationship-building; critical thinking and research analysis. Above all, you will learn to communicate your ideas and enthusiasm for your research to a wide range of audiences.